It’s often tough for a businessman to strike a balance between all the expenses and incomes even when things are running smoothly. Again, you may perceive an uphill task to cope with the piling debt that affects your financial situation. Under both of these circumstances, you’ll face the challenge of taking major decisions that shape the future prospects of your business. A fair share of your income gets claimed by the regular cost of running a business, thus leaving only a small portion of it to be invested in growth and to cover unforeseen expenses. A business loan can be of real help when you’re attempting to invest in avoiding risks and improving the future course of your business. You may compare some of these loans by visiting any loanable website and narrow down your choices. However, you must first acquire more knowledge on the benefits of small business loans before signing up. A dry financial season may create fresh opportunities. The pinch can be felt by even the most successful businesses, especially when the industry is trudging through a downturn. Till the revenue picks up again, a business can achieve adequate funds by way of a loan. A seasonal business needs to be restocked. Few businesses don’t achieve returns throughout the year. Their activities may be restricted through different phases. The seasonal boom can be met with more funds when you apply for a loan. Hiring new staff may be another instance. You might consider expanding the employee base for enhancing profits and productivity, especially when the trend is high. Covering all extra costs becomes easier once you obtain a loan. Such costs may include paying for their salary and training. Procuring fresh equipment is also an important reason. Your business can reach out to more buyers once you improve efficiency by deploying advanced equipment. Apart from opening a new branch, you may even expand your business operations. 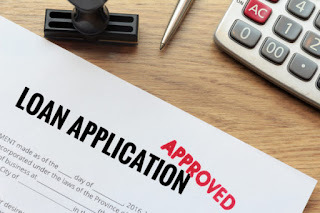 While experiencing success with your business, you may explore a new opportunity for business expansion and achieve a new reason for obtaining a loan. Initiating a few marketing events. A small business loan will certainly help in exploring fresh marketing attempts regardless of whether you’re introducing a grand opening or an annual sales event. Alongside enhancing your ROI, it will also draw in more buyers. You must create a list of all your requirements prior to applying for your loan. A concrete business plan needs to be drawn before you even think of it. You must keep a detailed note of the amount that you ought to borrow and know the direction in which your funds will flow. Knowing the loan amount that you need to allocate towards addressing various financial areas will help you maintain a certain buffer for achieving the desired ROI. This, in turn, will even help you in determining all loan options that keep your business up and running.